The Native American and Indigenous Studies Conference will be held in Austin this weekend and my Alaska grown colleagues Professor Jeane Breinig, Associate Professor of English, Associate Dean for the Humanities University of Alaska Anchorage, Professor Maria Shaa Tlaa Williams, Director of Alaska Native Studies, and I will be conducting the panel "Alaska Native Knowledge, Activism, and the Academy." In the conference program you can find the panel listed as "145. 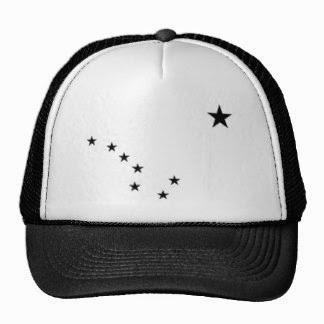 Alaska Native Knowledge, Activism, and the Academy [P62]: Meeting Room 416A." It is truly exciting to be able to take part in this wonderful conference with a cohort of brilliant and friendly Indigenous Alaskans. Please come say cama'i, you don't even need to bring Salmon. Below you will find the program information for the panel. Quyanna. 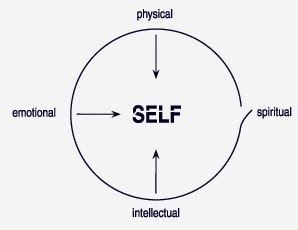 Diagram of the Indigenous Self by Angayuqaq Oscar Kawagley, Ph.D. In 2013 the first Alaska Native Studies conference was held at University of Alaska Anchorage, bringing over 350 participants from throughout the state and beyond to discuss issues central to Native Alaska. This conference marked the convergence of Alaskan Indigenous scholars, and their allies, creating a space of inquiry and intellectual self-determination focused distinctly within the Alaska region. The conference was a result of a landmark movement to start the Alaska Native Studies Council in 2012, which drew from a history of Indigenous knowledge activism for its foundation. This panel examines the obstacles and successes faced in the articulations of Indigenous knowledges within institutions of higher learning operated by the State of Alaska. The panel also traces the roots of Alaska Native intellectual, academic, and political activism, as well as the barriers faced in the creation of an Alaska Native Studies Council, Journal, and annual conference. was held in April 2013 and hosted by the University of Alaska Anchorage. academia - making programs that place Indigenous worldview at the center. Abstract: Along with the emergence of the Alaska Native Studies Council, Alaska Native scholars, and their allies, are working within Native communities, universities, and aligned organizations, to promote the study of Alaska Native knowledge and culture as never before. Additionally, Alaska Native scholars are also being hired to tenure track positions throughout the contiguous “Lower-48” and Alaska Native graduate students are pursuing doctorates at record numbers. This critical mass draws from understudied Indigenous Alaskan histories and cultures of activism that have grown distinctly from activism elsewhere in the nation. How does this long-brewing movement contribute to the field of Native American and Indigenous Studies? This paper examines thematic linkages of sovereignty and self-determination Alaska Native studies asserts within the broader field as well as the possible interventions undertaken by these claims. Abstract: In this panel presentation, I will discuss the process by which Alaska Natives are beginning to gain visibility and voice within the University of Alaska system, consisting of three major campuses in Anchorage, Fairbanks, and Juneau. This presentation includes historical background related to Alaska Natives presence in academia and the roadblocks faced when attempting to make a central place within the university system. Numerous programs and services, ostensibly created to serve Alaska Natives, have existed since the university was formed, yet only a few have made a significant difference with Alaska Native student success. This presentation proposes reasons and offers potential strategies for moving beyond the stasis.